Whether you follow international politics or plagiarism news, you’ve likely heard something about what’s going on in Spain. One of the country’s top officials has resigned, the nation’s Prime Minister is under attack for suspected plagiarism and additional government officials are being accused of academic dishonesty. The scandal has spread to the point it has called into question an entire university, one that many of the nation’s leaders hold degrees from. But as startling as the story it, those with longer memories might think it sounds familiar. After all, in 2012 Romania went through a similar series of events (so much so that I accidentally chose the same headline for both stories). To understand what’s going on, we have to first look at the full series of events. However, to understand WHY it’s happening, we have to take a broader look at the intersection of education and politics. The story doesn’t begin with a politician, but a university. King Juan Carlos University (URJC) is a Madrid-based university that has issued postgraduate degrees to many of the nation’s top politicians. However, concerns about the school’s academic integrity had been raised for years. In December 2016, the chancellor of the school, Fernando Suarez, was accused of repeated plagiarism during his career. He was removed from his chairmanship of a national education commission. However, he continued to serve as chancellor until March 2017. In April 2018, there were concerns over Madrid Premier Cristina Cifuentes, a member of the Popular Party (PP). She had obtained a master’s degree from the school in 2012 but an investigation showed she had never completed her coursework and that her transcript was altered. This resulted in the suspension of Enrique Álvarez Conde, the director of the Public Law Institute at the university, and an ongoing investigation into Cifuentes credentials (Spanish language source). Cifuentes did step down, but not over her educational scandal but over new video that showed her stealing face cream seven years prior. 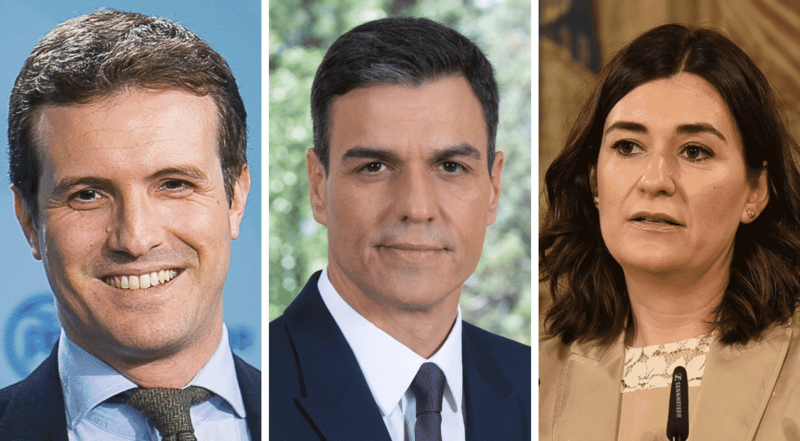 The scandal at the university grew as, that same month, the current leader of the PP, Pablo Casado, was also being investigated by the university. He had obtained the same degree as Cifuentes. Casado has admitted that he was not required to take classes or take exams or produce a thesis to obtain his degree. He said he did so at the direction of Conde, who was the head of the program during his tenure as well. In July 2018, a judge ruled that the degree may have constituted an undue gift and asked the Supreme Court to lift Casado’s immunity so that he could be charged. As for Conde, he was charged with fraud and the institute was closed. But, as big as this story was (and may still become), it was far from the end of the tale. In many ways, the biggest headlines were yet to come. On September 11, 2018, the scandal over URJC claimed its first victim. Spain’s health minister, Carmen Montón resigned after it was revealed that there were discrepancies in her attendance and plagiarism in her final degree work. Montón is a member of the country’s ruling socialist party (PSOE), which took power just three months prior after a no confidence vote unseated the PP government. Just days later, the story took a strange new turn. Conservative publications demanded that Sánchez make his thesis public, which he did along with analyses by Turnitin and PlagScan. Political opponents demanded that he testify about the issue before Parliament, but an initiative to compel him to appear failed. The dispute has become extremely ugly with Sánchez even threatening to sue conservative media outlets that are accusing him of plagiarism. Many considered the allegations a distraction for Casado, who is facing potentially worse repercussions for his degree. However, even as the controversy over his thesis seemed to be dying down, new allegations surfaced involving a 2013 book Sánchez had written with a co-author. In the book he had reproduced pages of a speech made by a Spanish diplomat with no quotations or citations. Sánchez said it was an “involuntary mistake” and that they would work to rectify it. Meanwhile, the URJC, the school that began the wave of allegations, is facing still more issues. 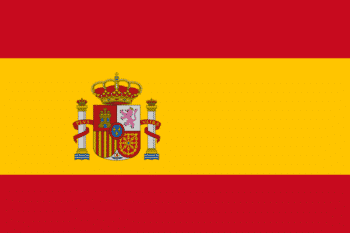 Spanish media has discovered as many as 500 cases of Italian students being granted law degrees at the school despite having limited understanding of the Spanish language. These degrees were significantly cheaper than ones obtained in Italy and would, if approved, allow them to practice law anywhere in the EU. It’s an ugly story that is still very much ongoing, but one that should feel at least somewhat familiar. The comparisons between what’s ongoing in Spain and Romania in 2012 are pretty striking. In July 2012 Romania had a three-month-old government, also due to a vote of no confidence, and several of the nation’s new ministers were forced to resign over allegations of plagiarism. The allegations also engulfed the nation’s then-Prime Minister, Victor Ponta, but Ponta managed to keep the position until he was forced to resign in 2015 following a deadly nightclub fire. In the years after, Germany also faced a similar plagiarism crisis with several of their ministers stepping down over plagiarism allegations. While their story was much slower, taking years to unfold, it too resulted in the resignation of several high-ranking officials and raised serious questions about the integrity of many postgraduate degrees. But while there are definitely differences between the scandals, in particular how they unfolded and how politicized they became, they all speak to the same core issue: An obsessive drive by many in political office to obtain academic credentials to either maintain or further their careers. Spain has developed a term for this: Titulitis. But, while titulitis can be an issue in any career, it’s especially bad in politics. Driven politicians are often connected with schools eager for famous and well-connected alumni. In the United States, where there is less emphasis on politicians having degrees, the problem isn’t as severe. Though US politicians do commit plagiarism to get degrees, such as Senator Joe Walsh’s plagiarism scandal, the schools are rarely implicated as being complicit. In fact, the War College even went has far as to revoke his degree and remove his name from a bronze plaque. In Spain and Romania, the allegations aren’t just that politicians cheated to get degrees, but that the school either turned a blind eye or actively helped them do it. This casts doubt not just on the politicians of a country, but the education system. These high profile cases harm not just the schools directly involved, but the nation as a whole. After all, if Spain develops a reputation for being a place to get a fake degree, all degrees from the country will suffer, no matter how legitimate. This is grossly unfair to the students who are working hard but it is a practical reality. Stories like these might be covered with nuance and detail within Spain but, elsewhere, the narrative is much more simplistic (even here). It’s a tragedy where the greed of others can take away from those who earned their accolades, but it is exactly what happens in stories like these. While there is no doubt that Spain as a country will have to suffer the fallout of these controversies, those who suffer the most directly are the students at URJC. It’s a school with over 45,000 students, most of whom are there trying to get a decent education and are working hard for it. Stories such as the ones involving the law college dash the entire university’s reputation, even if that particular institute is closed. The politicians and schools may be trying to get ahead but they are doing so at the expense of their education system and their country. Titulitis isn’t just a threat to Spain or Romania, it’s a potential problem everywhere. It’s up to schools and the entire educational system to be on guard for it because it can easily undermine all that they hope to accomplish.